There is a familiar and unhappy gap between our expectations and reality, and that gap is called disappointment. Sometimes disappointment is created by circumstances beyond our control, but more often than is comfortable to admit, it is of our own making. Here is a case in point. About a month ago I was in Chicago with a close friend to celebrate my birthday. 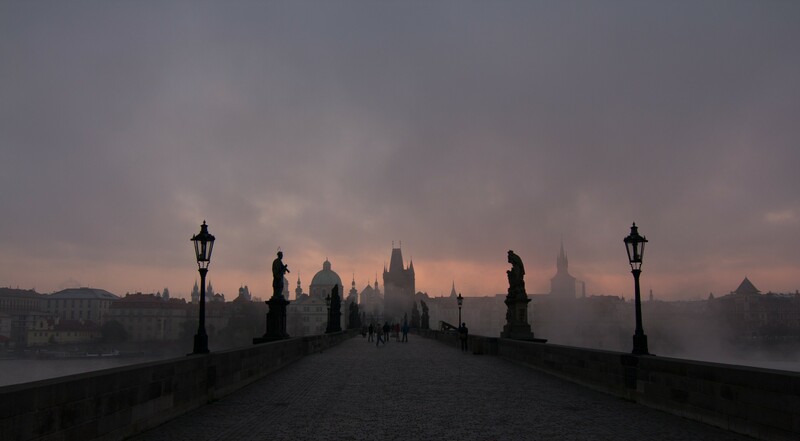 My mother, daughter of Czech immigrants, was born and raised in the city and, if possible, I wanted to find some connection to, or some “taste” of Czech ethnicity that might still linger there. Our first night we discovered Bohemian House, at 11 West Illinois Street, a restaurant that features authentic Czech cuisine and beer in an Old World atmosphere. All was excellent and did not disappoint. Buoyed by our success at the restaurant, the next day we set out to find Vesecky’s, a traditional Czech bakery in Berwyn, the once ethnically Czech neighborhood where my grandparents had lived. The recent reviews on Yelp were promising; “one of the best bakeries in Chicago,” said one writer. “great old school bakery,” “my Grandma loved it,” wrote another. Riding the “L” and then taking a bus for the hour long trek to Vesecky’s, my mouth began to water with anticipation of the goodies we would find within. By the time we arrived I could already taste the apricot kolache and hoska bread I remembered eating as a kid. Predetermined to love it, I noticed, but failed to consider certain clues that cautioned a different reality. Anxiously I bought a box of treats and dived into them right then and there. With one bite, that reality became apparent, the only thing Czech about Vesecky’s was its name. As I stood there sorely disappointed I attempted to reconcile fact with fantasy. Upon entering the bakery, there was no delicious aroma permeating the air characteristic of baking bread. On the contrary, there was a cold and sterile feel about the place. At first glance of the cookies and pastry behind the glass, my eye sent to my brain an image that did not match what I knew to be authentic, artisanal bakery. I realized that in my rush to conform reality to match my preconceived expectations I had set myself up to be disappointed. Okay, so no real harm was done me. I wasted a mere $13.00 and I’ve enjoyed a laugh at my own expense in hindsight. What brings this story to mind is twofold. I cannot imagine a better time of year than the Christmas Season to talk about unrealistic expectations and their inevitable consequences. The happiness hype, the love and good cheer can ring hollow about now. And of course, some disappointments are much more devastating than eating bad pastry. I have lived that reality too. But disappointment can also be our teacher and guide if we let it. So, by way of redemption and a happy ending, over the Holidays I taught myself how to make Vánočka, Czech Christmas Bread. (It is named after Vánoce which means Christmas in Czech.) I kept my expectations within reason for a first effort and I’m pleased to report that it turned out great and was enjoyed by many. I’m sure I could give Vesecky’s a run for their money!